Christmas is the busiest time of your for us at Harlequin Fun Casino and as you can imagine, we get booked up very quickly or Christmas Party Casinos. For hotels, golf clubs and other venues, organisations and event companies looking to book several Christmas Party nights in November and December for ongoing Christmas Party Nights at the same venue, we have a specialised Christmas Party Nights Package. If you think you might be interested, please contact us and we can discuss your requirements and send you our packages and prices. 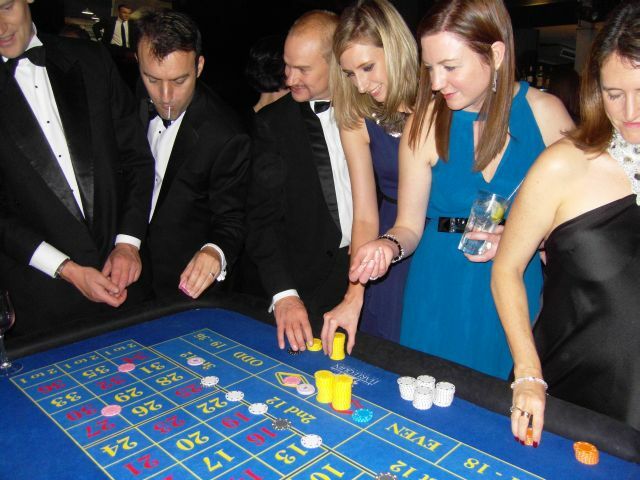 Every year, we supply several venues in London and the South with full-size fun casino tables for their Christmas Party Nights, which we take care of on each of the party nights, supplying them with staff and managing the casino each night. We’ve built some great relationships with our Christmas party venues, and we are more than happy to refer you to other venues who will be more than happy to give us a glowing reference for your peace of mind. When you’re in charge of organising Christmas party nights, the pressure is on to find great suppliers at favourable rates, people you can trust to get on with the job in hand and people who have lots of experience doing what they do. That’s why we’re the ideal choice for Christmas party casinos. We’ve been doing Christmas party nights at top venues in Sussex and Surrey for years now, and we’ve got the experience and the passion to make your Christmas party nights a resounding success.